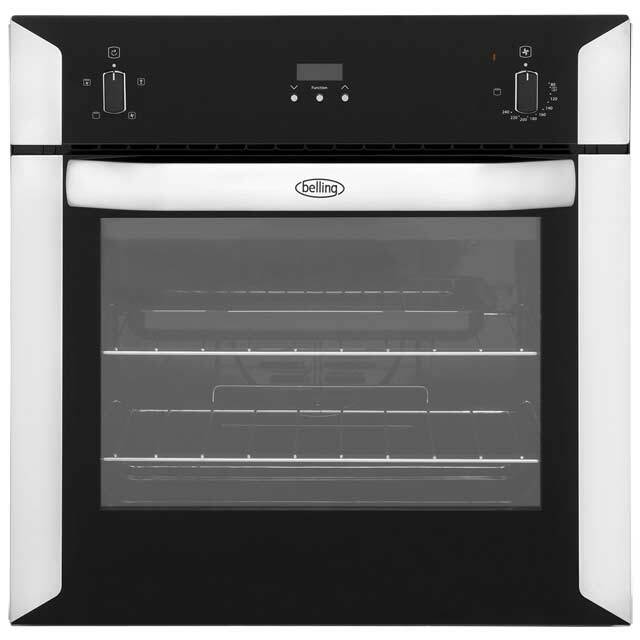 Prepare plenty of delicious meals with this brilliant built-in stainless steel electric single oven from Belling. 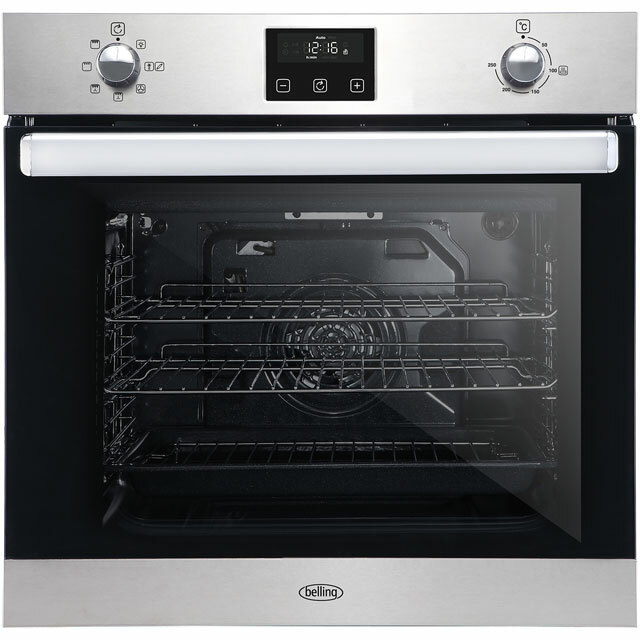 Because it’s a fan oven, heat is circulated inside for even results, whether you’re cooking the Sunday roast or baking a batch of biscuits. It has a handy grill setting too, which is great for making your morning bacon. And, thanks to its 58 litre capacity, it’s ideal for medium-sized households. There’s also an electronic programmable timer, so you can set the oven to turn off when your food’s ready. Whatever you’ve been making, the grease-proof enamel coating makes this model really easy to clean. This oven is designed to fit at eye level or under a worktop. Nobody likes the unpleasant task of cleaning the oven, but life is made easier with the enamel lining feature of this model. The glossy, smooth interior coating prevents food and grease becoming stuck to the top and sides of the oven during cooking – meaning that the residue will wipe away more easily after use and with less effort on your part! 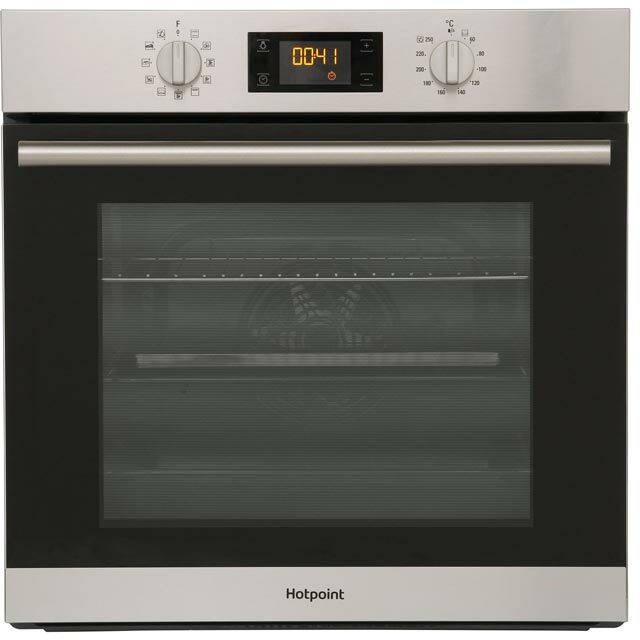 The ideal size for a medium household, this oven has lots of room to help make mealtimes quick and easy. With plenty of shelf space, you can fit in a couple of trays at once, so it’s perfect for baking a few batches of cupcakes. And, because you can fit in both your main course and side dishes at once, you can have all your food piping hot and ready at the same time. With an electric grill function, this oven offers extra flexibility at mealtimes. As it has variable settings, you can gently grill some chicken for a healthy tea or turn up the heat to add the perfect golden brown, crispy top to a cheesy lasagne. We have bought the Belling because our previous Belling oven gave us 40 years of faultless service. It is very handsome and enhances the appearance of our Kitchen. 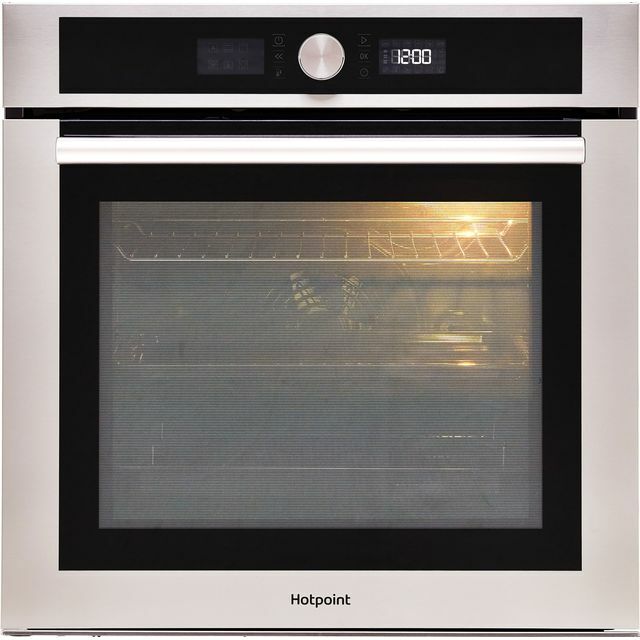 This oven is very easy to use and we tried it straight away.....my wife is very pleased with it and mastered the controlls easily...(a first for her! )...... Thanks Belling...may we enjoy our new oven for many years to come! After two previous attempts at getting an oven that would fit around the gas pipe for hob, this Belling oven has been a success! 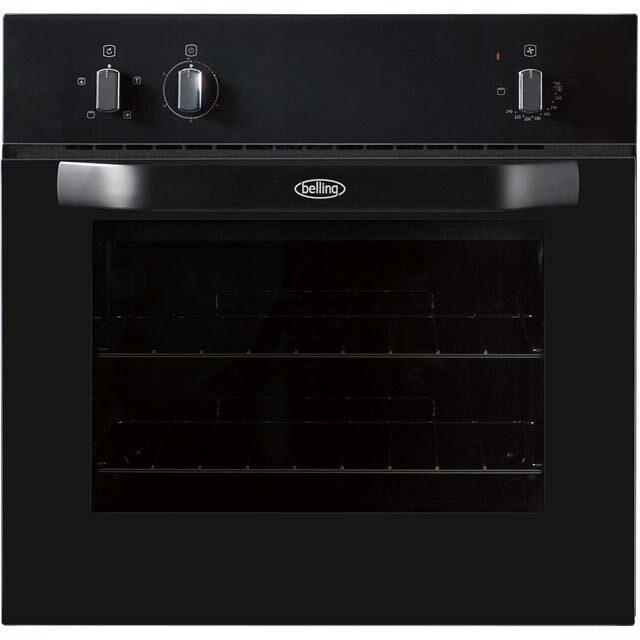 Great service from ao, oven easy to fit, works well and very good value.. If you need a fitted oven that will fit round gas pipe to hob, this one is worth a try..
Looks great, fits well and cooks well! Has a good range of settings. No complaints at the moment. Thanks AO! It's a stylish, good looking oven. Works fine, a bit of a too hot end, watch for burning the food. Lower temperature needed fir baking. A little loud, but works well. Very good service from start to finish..can't fault it-service up to and including install was brilliant ..patient and understanding of highest order. Would recommend buying only from AO.. I really struggled to find an oven that would fit under my gas hob. The pipework is towards the back of the cupboard, but requires quite a big "cut out" of the space allowed for the oven. Most fitted ovens are designed to meet the volume requirements of a "large" oven - which means that they project further into the cupboard space and higher, leaving only a very small corner "cut out". This oven was the only one showing a sideways on photo, that indicated that the cut out would be big enough. Even Belling did not include an accurage engineering drawing - shame on them! And shame on all the other manufacturers who don't seem to realise what an issue this is. Having got the oven, I am quite happy with it. It looks nice, and it works ok. On the downside, the oven shelves and shelf supports seem a bit fragile, and the shelves don't put out easily, especially now that they are beginning to get coated in burnt on cooking grease. The grill works really well, and toasts pretty evenly across the whole area - which is a novelty in my experience of toasting under the grill! Cleaning the oven door glass is quite easy - the whole inner window pulls out of easy cleaning.